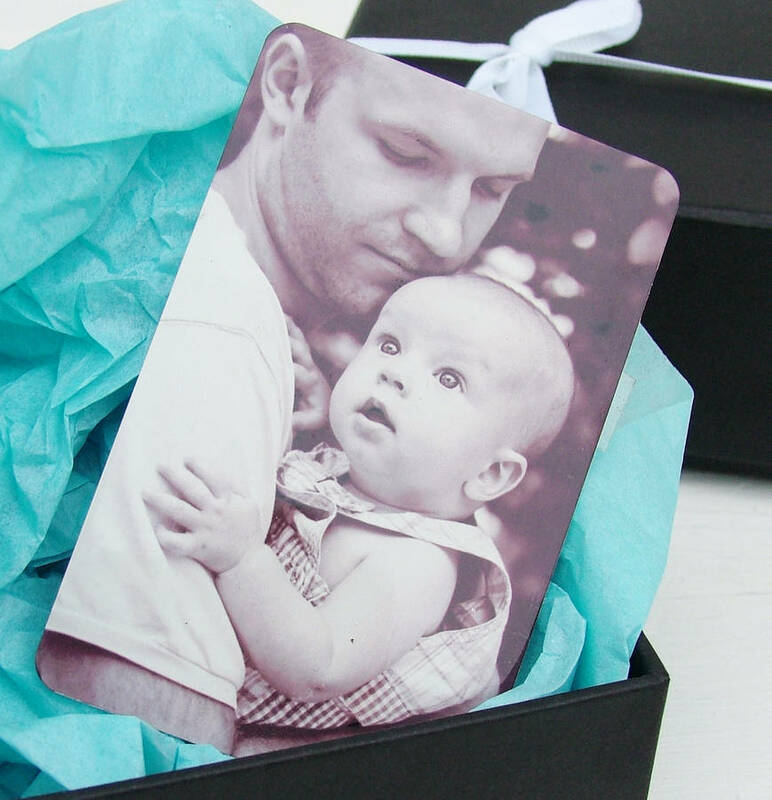 Keep those special people and precious moments close with our slim metal cards printed with your own photo and message. Our photo and message wallet inserts are credit sized metal miniatures printed with your special pictures and messages to make unique keepsakes. Fitting neatly in a wallet or purse they are a lovely reminder of a wedding, of special people or of special places. 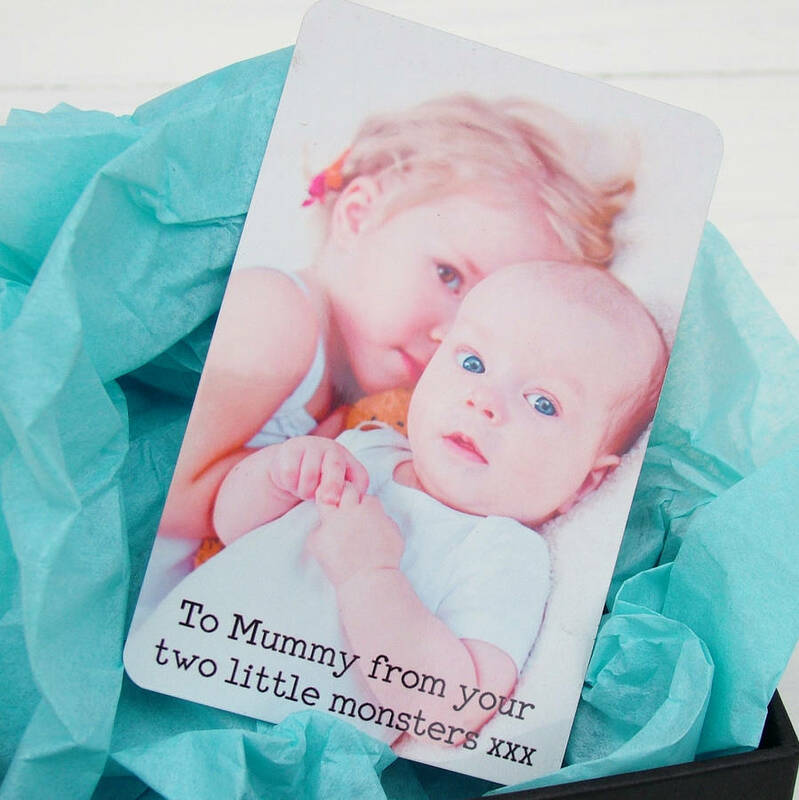 Made from brushed aluminium with a special picture quality, our little metal keepsakes make a perfect gift, beautifully presented in a box. When your order is accepted we will message you with instructions about uploading your picture - it's very easy to do. We can also print a message on the back of the card for a small extra charge. This product will work best with a high quality, high resolution photo. Very small, low quality photos will unfortunately not produce a good result. Please note this product will not work well with low resolution or low lighting 'selfies' taken on mobile phones. In both these scenarios we will need to make changes to the colour balance/contrast of your picture. There may be some modest changes in colours/colour balance when the image is printed to the aluminium card. Pictures should be rectangular, not square, as the wallet insert is rectangular in shape. 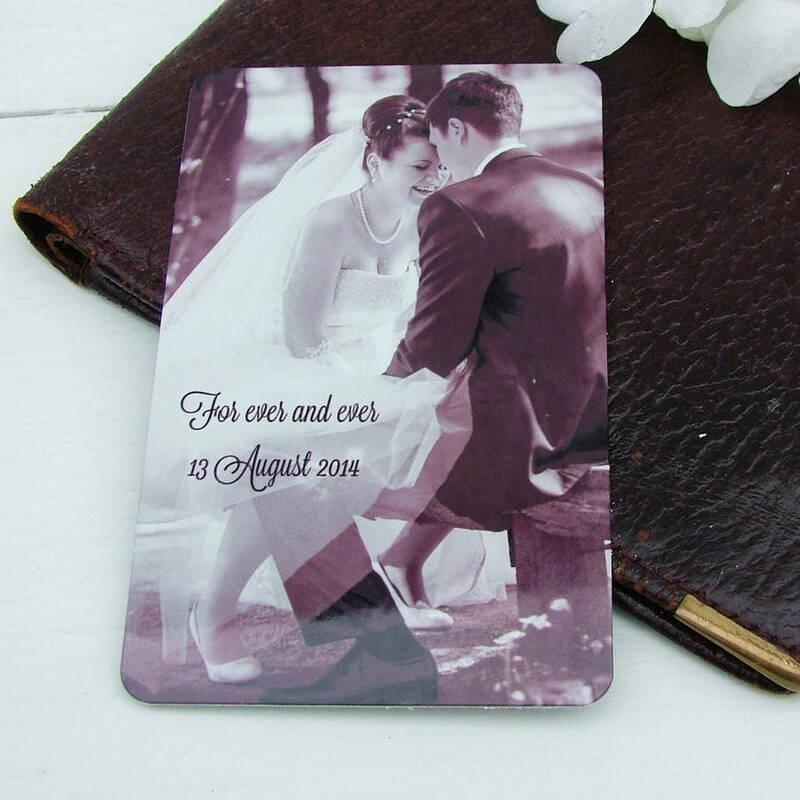 Closely cropped pictures can prove problematic - we are happy to crop for you, if necessary, but having some background to work with helps when making the wallet inserts. 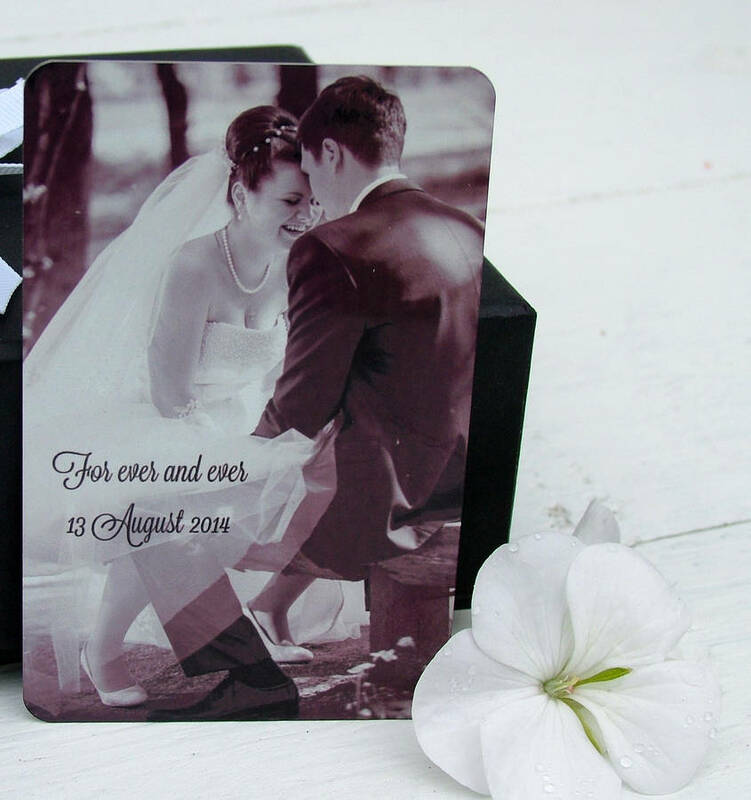 We can print your picture in full colour or in black and white and can add your message in a choice of fonts, so that each little metal keepsake is completely designed by you. Credit card size (approximately 9x5cm) with rounded cormers. This product is dispatched to you by Seahorse.